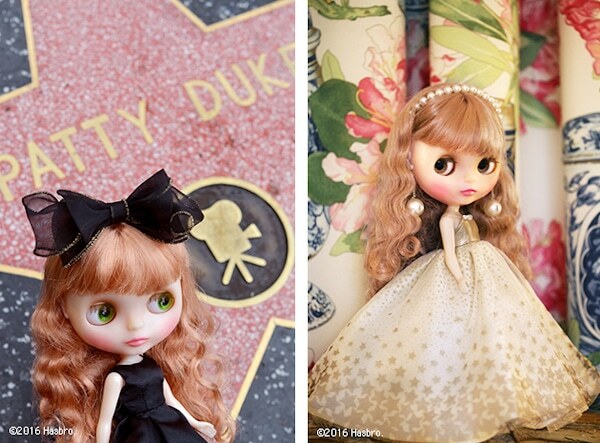 Can you believe Blythe will be celebrating her 15th anniversary this year? 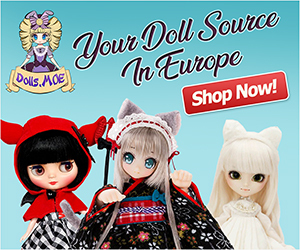 It's incredible how fast the years came and went but it's even more remarkable to see a doll company with a rich history, an iconic product, and collectors worldwide reach such an amazing milestone of 15 years in business. Blythe will memorialize this huge feat with the release of the 15th Anniversary Blythe doll named Neo Blythe Allegra Champagne. 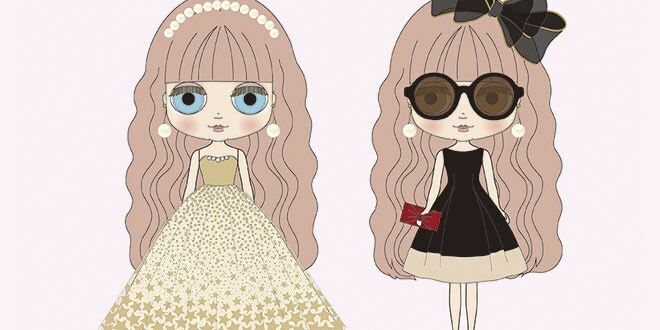 She will come equipped with a pair of chic sunglasses and a cute red clutch. 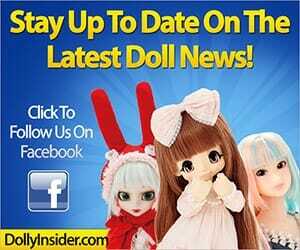 No word yet, if fans can expect to see a Middie Blythe to go along with this darling girl. Neo Blythe Allegra Champagne is scheduled to come out August 2016. At this time no price has been announced, I will update this post as soon as more info becomes available. 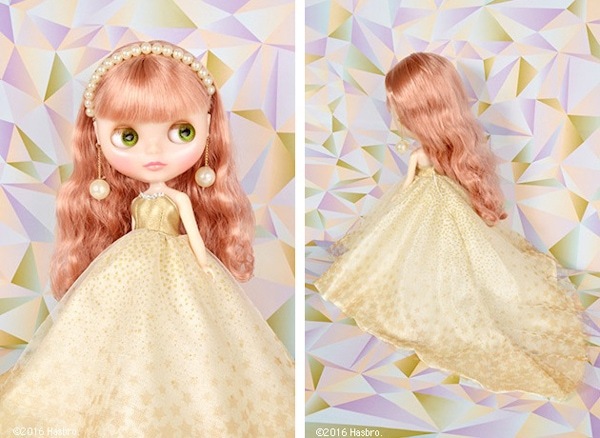 Does this Blythe evoke the feelings of an Anniversary doll or do you wish this doll had more pizzazz and sparkles? You brought up some interesting points and insight. The price for Blythe has been sky rocketing. CWC isn’t offering anything like an improved face mold, better material, or additional accessories. I don’t feel that the dolls are worthy of these higher retail prices. It’s been a while since Blythe wowed me personally as well. I guess after 15 years CWC is bound to have a creative slump. customizers or once a year have a fan design contest similar to what PetWORKs offers. 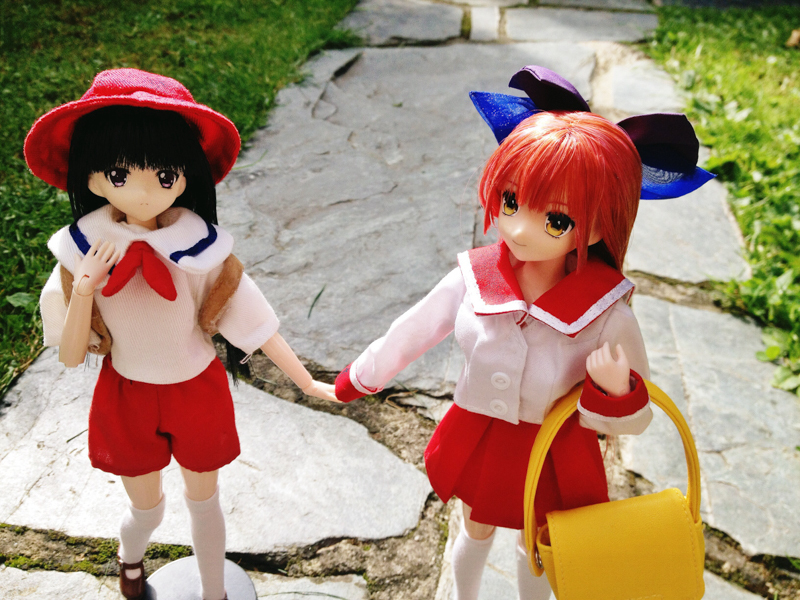 I think doll companies have been too complacent with their designs and assume fans will never get bored with the same old same old. LOL I like your suggestion of a male companion for Blythe. Thanks a lot for sharing your opinion about Blythe and CWC! Maybe if enough people voice their concerns about the increase in price, CWC will make some adjustments. I couldn’t agree more with everything said here! Congrats on owning the beautiful Allegra! Blythe has been pretty quiet since Neo Blythe Henrietta’s Home Party release, hopefully they are working on bringing fans a charming and creative doll. Thanks for stopping by and sharing your happy doll arrival with us. She is so beautiful, I love her hair and face up. The outfits are stunning, too. I think they hit the right note – any more glitz/glamour and she would not be as versatile a doll. The price is a little off putting, but she does come with two outfits, and she is to celebrate 15 years of the new edition, after all. I was tempted to buy Dainty Meadow before as I don’t own any Middies yet, but I may hold off now and save for Allegra! I’m not gonna lie her price gave me a huge scare at first glance because it’s 10,000 yen more compared to the 14th anniv. 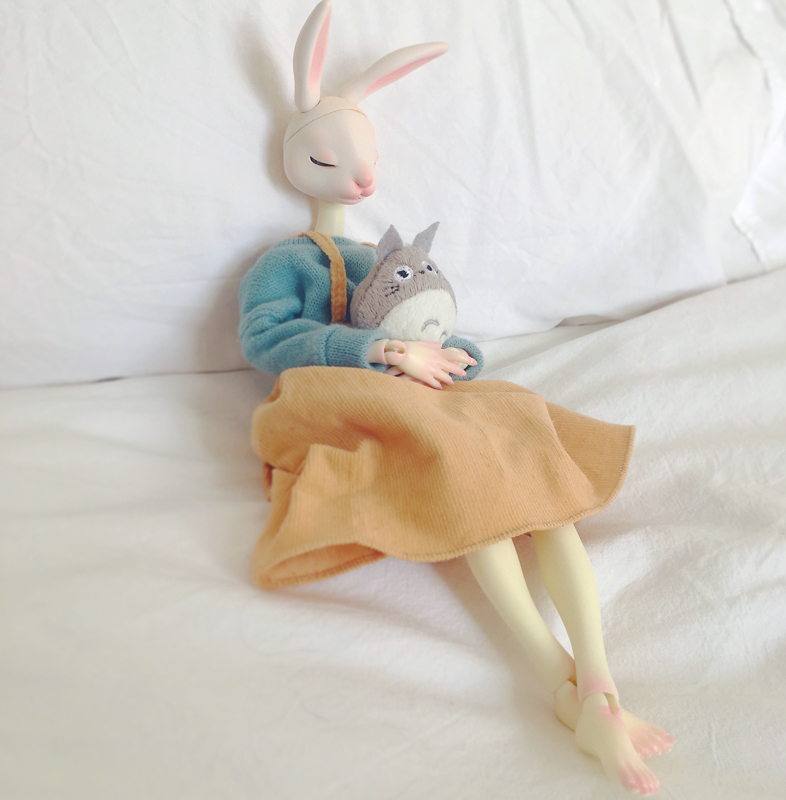 girl; Blythe Dauphine Dream. On the plus side she does come with an extra outfit and cool shades. I wonder if she’ll be ultra limited? 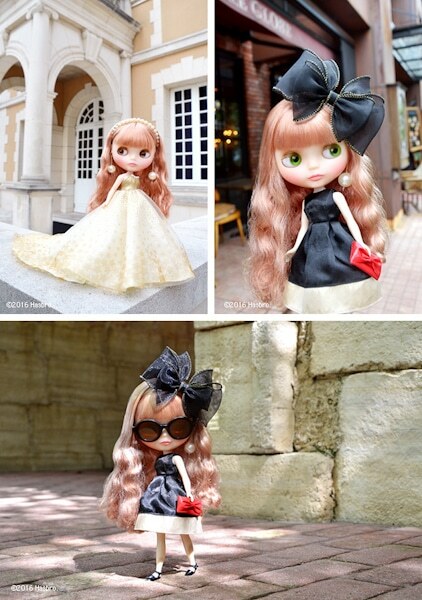 I hope you’ll be able to add Neo Blythe Allegra Champagne to your collection! 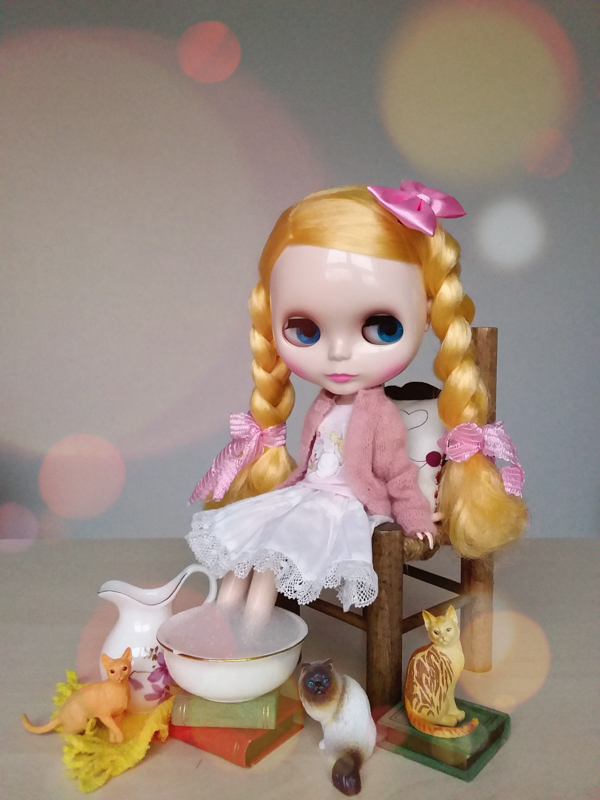 Thanks for commenting and sharing your honest feelings about Neo Blythe Allegra Champagne! I can totally understand your desire for creativity.